This little gadget could help the visually impaired ‘see’ objects that are difficult for them to distinguish, identifying currency or reading signs. It could also help children during the process of learning how to read. You simply point the EyeRing at an object, hit the shutter release, and receive a verbal response from a Bluetooth-connected device like a smartphone or tablet. 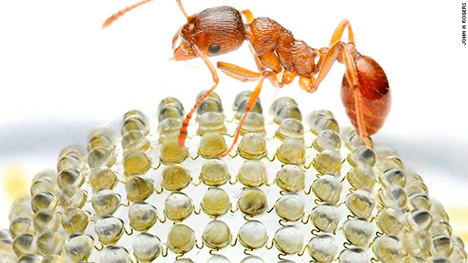 Inspired by the compound eyes of insects, researchers have created a digital camera that can capture a 160-degree-wide field of view with all areas of the photo in focus. Tiny domes on the camera are covered in 180 microlenses, each of which capture a unique view. The team is hoping that as manufacturing techniques advance, they’ll be able to mimic the eyes of other creatures as well, like houseflies and shrimp. 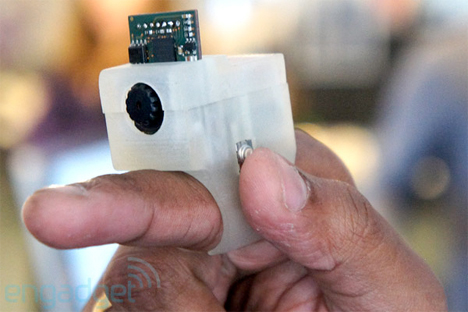 The Ubi-Camera allows you to use your fingers as the viewfinder and capture photos with hand gestures. 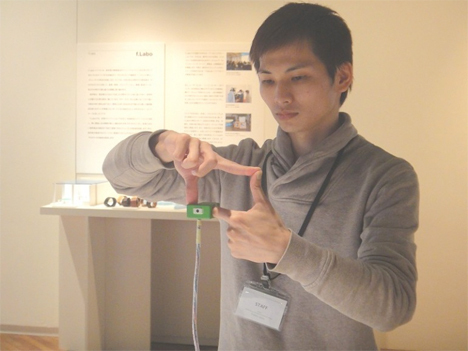 Developed by Japan’s Institute of Advanced Media Arts and Sciences, the camera allows people to take photos more intuitively while looking at the actual scene instead of through a viewfinder. It may not look like much, but the revolutionary feature of this device is that it’s able to tilt and pan a small camera robotically in a way that mimics human eye movement. It features three degrees of movement and can move at 2500 degrees per second, 2.5 times faster than our eyes.